The flower girl stands as the one of the most integral—not to mention the most adorable—members of the wedding party. When your assembled guests note the entrance of the adorable little girl that scatters rose petals down the length of the aisle, they will know that the ceremony has commenced; and their hearts are sure to warm at the sight of a smiling, elegantly dressed lass that is welcome and beloved by the entire family. Select a flower girl who can handle the duties and responsibilities that accompany her post. Can she remain quiet and orderly throughout the course of the ceremony? Does she know to walk down the aisle, tossing and spreading the petals as she goes; or might she be liable to run scatter shot the whole way, dropping or dumping her basket in the process? It might be best to choose a child over 3, that shows good manners and sound behavior at other family events. 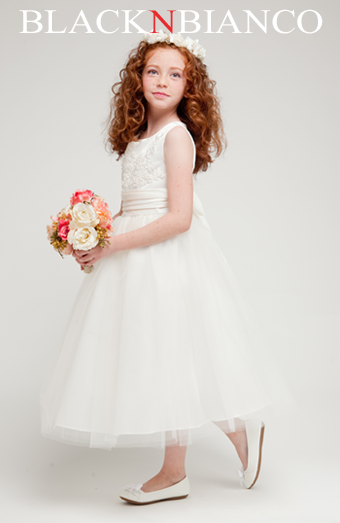 Dress the flower girl in a gown that will match those of the maid of honor and bridesmaids; ensuring that the color and style of the dress do not clash with the others presented in the wedding party. Choose her flowers carefully. The florals that the girl tosses during her ceremonial trek might match those featured in the bride’s bouquet; she also might toss sentimental favorites such as daisies or rose petals. Accessorize! Many flower girls wear floral headdresses, in keeping with their role. And the bride may choose to gift her with a necklace or bracelet that acknowledges her participation in a very important event.